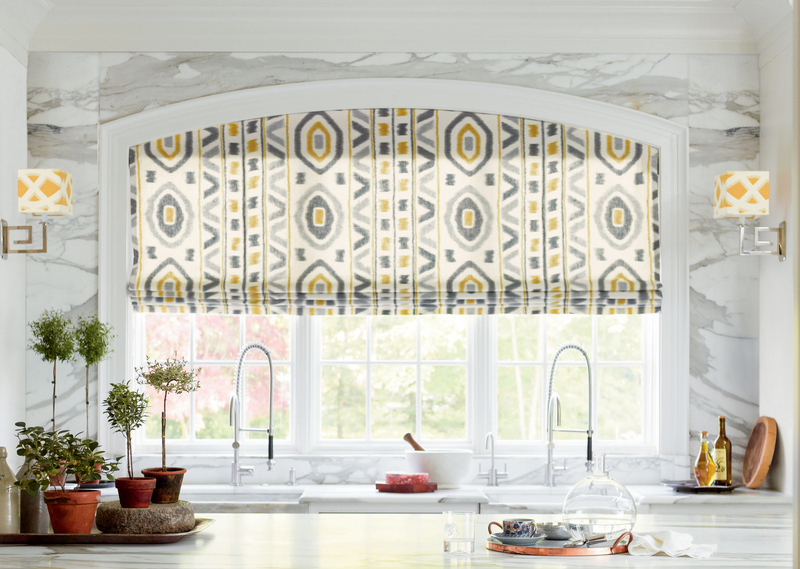 WHY CHOOSE CUSTOM WINDOW TREATMENTS FROM CALICO? They're tailor-made for your windows; nothing comes out of a box. And since our certified workrooms make everything to our exact specifications, from stitch length to hem allowance, the quality is guaranteed 100%. Proper fullness is the key to a custom look. Most ready-mades have only 1-1½ to 2 times fullness. Ours are made with the right fullness for the chosen fabric — usually 2½ to 3 times. Pleats are deep for a sumptuous look. This ensures a continuous flow of design across the custom window treatment. On window swags, cornices and valances, we'll see that the elements (birds, bouquets and so forth) are positioned perfectly. (Note: there are a few fabrics that are not possible to match due to their construction--for example, fabrics with embroidery patterns and some plaids). Custom draperies can be made to any size, from short (to clear a bookcase) to long (floor length) and longer (if you prefer puddling). 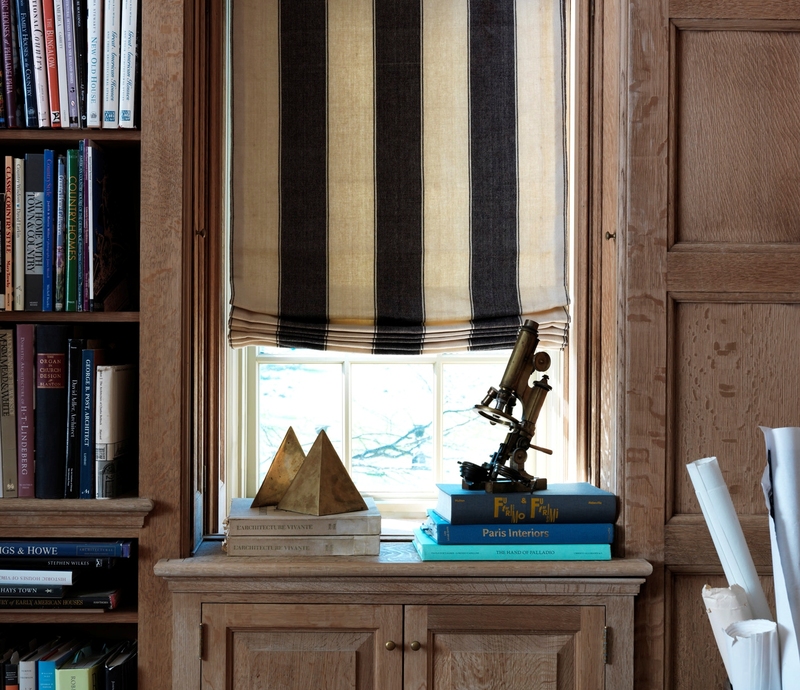 If you have very large windows, we offer extra-long pleats for extra-tall draperies. The right drapery lining adds body, protects your fabrics — and makes your draperies, shades, swags and cascades look stunning. We offer eight different types of linings and will help you select the one that's best for you aesthetically and functionally. Our custom draperies feature 4-inch weighted double hems and 1 to 1½-inch double side hems. Trimmings are hand-sewn or machine-sewn as appropriate. 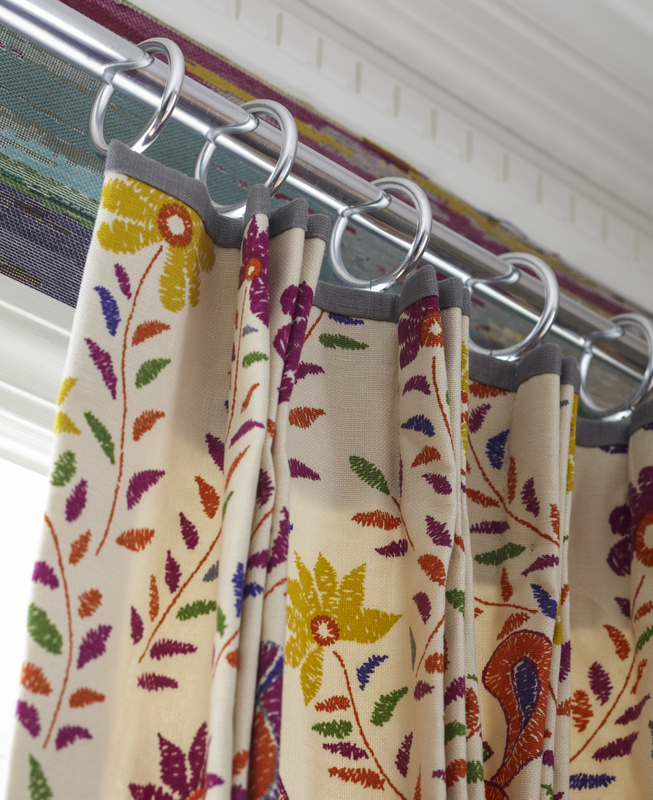 Mounting boards for shades and valances are covered with your fabric so they look good from any angle. We offer an incredible array of designer fabrics and trimmings. With 10,000 fabrics and thousands of trims to choose from, you'll get exactly what you want, nothing less. Our window treatments are a great value. We buy our fabrics directly from the mills and leverage significant buying power. We have the industry's finest selection of fabrics under one roof. We offer free design advice — in our store or in your home. We'll listen to your needs and show you options you may never have imagined, and help you think through aesthetic and functional considerations. We take care of every detail. We'll professionally measure your windows and install your finished treatments if you wish. Simply put, we're there from start to finish.